It's also cloned Apple's 3D Touch. You may recall that the world's first 10-core mobile chip, the MediaTek Helio X20 series, is expected to hit the market this month. Indeed, today Meizu announced its Pro 6 smartphone which has nabbed exclusivity over the flagship Helio X25, yet it only starts from 2,499 yuan or about $390 off-contract. The specs don't disappoint: You get a gorgeous 5.2-inch 1080p Super AMOLED screen, 2.5D Gorilla Glass 3, 4GB of RAM, internal storage starting at 32GB, front-side fingerprint reader, LTE Cat 6 radio and a USB 3.1 Gen 1 Type-C port (up to 5 Gbps). The only thing missing here is NFC, if you're a fan of that. Despite the smaller 2,560 mAh battery (the Pro 5 had 3,050 mAh), it's somewhat compensated by the 24W rapid charging feature that takes just one hour to go from zero to 100 percent. Just to ease our minds, Meizu added that the appropriate thermal and short-circuit protection mechanisms are all there. Depending on your usage behavior, the Helio X25's tri-cluster architecture should also help extend battery life, but we'll see about that when the reviews roll in. 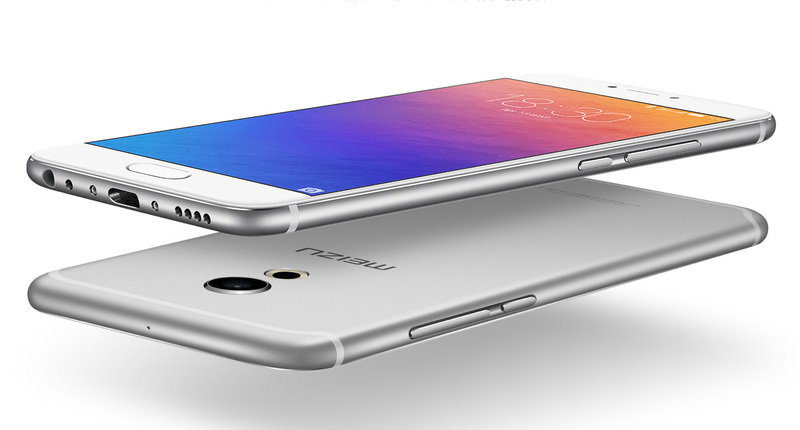 The Pro 6 comes in a smooth aluminum body that's only a tad thinner than the iPhone 6s Plus, and while its general shape, bottom edge layout plus color options -- gold, gray and silver -- will unfortunately remind you of Apple's offerings, Meizu tries to distract you by curving the ends of the two plastic antenna bands on the back, as well as applying a more symmetrical design all over by repositioning the camera parts. Strangely, the result is a nice improvement over the iPhone 6s' aging design. Alas, the Pro 6 also comes with "3D Press" which, as you can tell by the name, is a cheeky clone of Apple's 3D Touch: Depending on how hard to press the screen, you can toggle a shortcut menu and preview contents such as images, messages, e-mails, URLs and more. 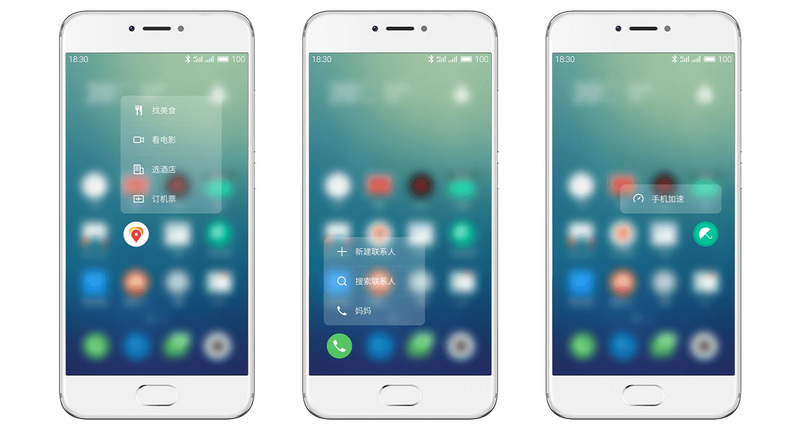 Meizu says many popular Chinese apps like WeChat, Weibo, Youku and QQ will be supported at launch. It'll be interesting to see whether Apple will take action (it wouldn't be the first time, anyway), but then again, Huawei already has a similar touch pressure recognition feature on its Mate S and its more recent P9 Plus. Given the same old mid-range Sony IMX230 sensor featured in this 21.16-megapixel f/2.2 main camera, chances are it won't beat those offered by the mainstream smartphone brands; plus it is now covered by a piece of Gorilla Glass 3 instead of the harder sapphire, which is clearly a cost-cutting move. That said, it does come with an improved laser autofocus, along with a small ring flash consisting of 10 LEDs -- a first for smartphones -- which is quite fitting given the phone's 10-core CPU. On the other side, you have a 5-megapixel f/2.0 selfie camera just like before, and as you'd expect with any Chinese smartphone these days, the Pro 6 comes with beautification features to save you money on cosmetics. Perhaps the most interesting feature here is "mSound": It's a fancy name for Meizu's combination of NXP's third-generation smart amplifier system and its loudspeaker at the bottom, which not only claims to produce loud audio with little distortion, but it can also use the speaker -- by detecting the vibration on the diaphragm -- for noise suppression while recording audio. As for headphone playback, you can take advantage of the Pro 6's Cirrus Logic CS43L36 DAC chip for supposedly cleaner audio with a wide dynamic range. Naturally, lossless audio formats like FLAC and APE are supported here. There's no word on global availability yet, but the dual-SIM Pro 6 is already available for pre-ordering in China, starting with 32GB version for 2,499 yuan (about $390). The 64GB version will arrive later for just 2,799 yuan (about $430).